One question that comes up frequently in conversations these days is "why is inventory so low right now?" This is a great question to ask and informs much larger discussion about the economy, local real estate markets, and larger social trends. But let's start at the beginning. When real estate agents talk about 'inventory' they are really speaking of the number of homes, lots, commercial properties etc... that are currently for sale. Generally the unit in which inventory is expressed is time - in other words 'there are 8 months of inventory'. The inventory is the supply (homes) available in the market and so has an effect on both the sale price as well as the amount of time that homes stay on the market. In other words, potential buyers in a market with high inventory may not be motivated to make strong offers because they know that there are a lot of comparable homes they can buy. Additionally buyers may spend more time shopping around because there are so many homes to see that match their criteria. If you were a buyer in the early '80s or '90s you may have experienced a market like this (although regionally markets vary quite significantly). A more recent example of a high inventory market was a result of the great recession when the housing bubble burst. In this instance the unprecedented level of foreclosures flooded the market with homes, when taken simultaneously with the concurrent financial instability, some homes spent years on the market. The graph from the St. Louis Fed gives a nice snapshot of housing inventory from 1963-2017. The alternative to a high inventory market is, obviously, a low inventory market. 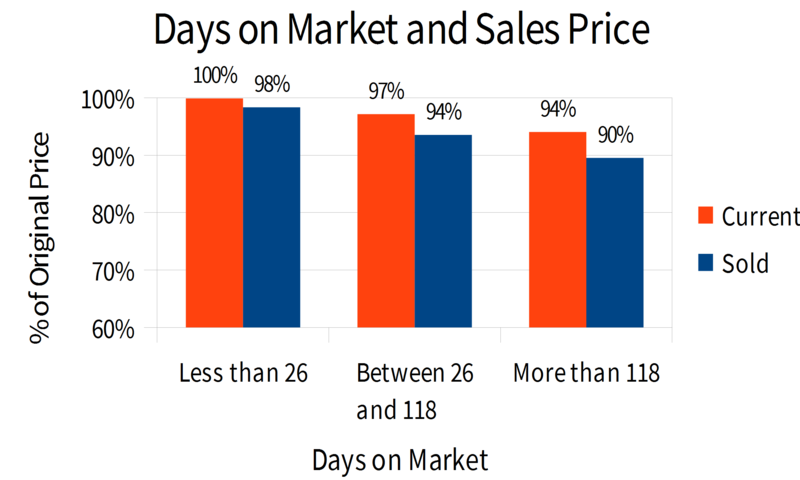 These are generally characterized by fewer days on the market and higher sale prices. Potential buyers outnumber the available homes so bidding wars and offers over asking price are more common. A great example of this is the market in San Francisco currently - the city is so desirable for a variety of reasons that home supply is inadequate to meet the demands of the market - the result, outrageous prices. With this background let's return to our original question, 'why is inventory so low?'. There is no short answer but we have a few theories and found this article by Connor Dougherty from the New York Times to be incredibly insightful. In brief his theory is that people are not selling their homes but instead are choosing to stay in smaller, traditionally starter homes, or choosing to upgrade their existing homes rather than move for more space or amenities. The economic impact of the great recession allowed many homeowners to refinance into incredibly low interest rates, as a result they are deciding to stay in their current homes rather than incur the expenses of a move with a higher interest rate. Additionally the demographic of baby-boomers are largely at an age where many are still in the workforce (partially due to the great recession) and are are not quite ready to downsize. Because of the disproportionate affect of the boomers on the economy the availability of homes is low. Will this last forever? probably not, but here are some things to consider. First, as the boomers age, they will begin to downsize with more frequency thereby increasing inventory. Second, many millennials were young professionals early in their careers and family lives when the great recession hit. They saw the result and suffered the consequences at a time in their lives when they were least equipped to deal with it. Many lost jobs, moved back home or chose to continue renting rather than stick their necks out with a mortgage. Additionally and for whatever reason, millennials are delaying starting families. Given the size of this demographic this is surely impacting the market, we'll see how millennials will affect the real estate market as more and more of them graduate into adulthood. If you are interested in learning how your home will compete in the market or your position as a buyer, contact us today.